Styled with side panel pant . 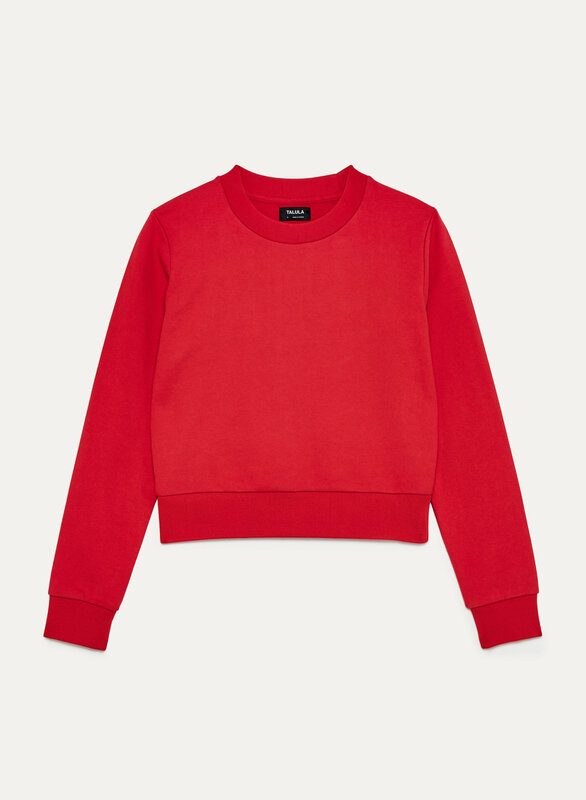 This shrunken crew is made from softly structured cotton terry for a modern, streamlined look. 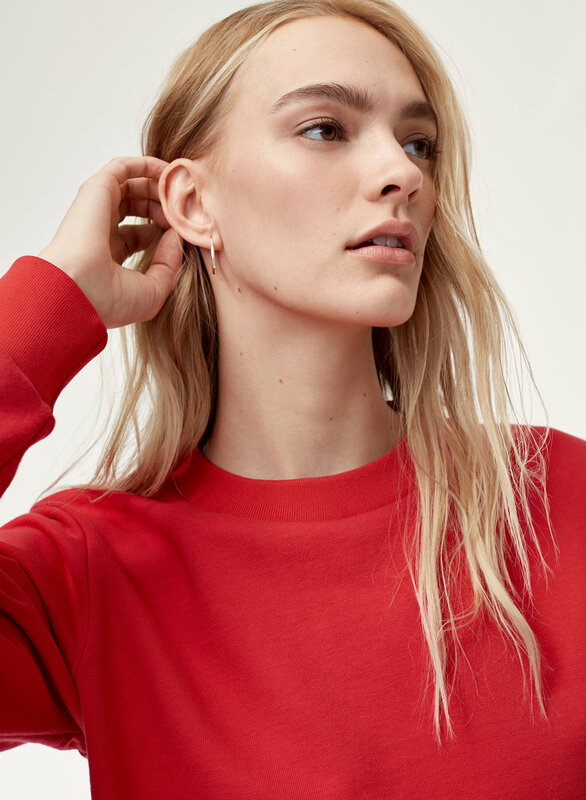 The ribbed neckline, cuffs and hem are plaited with spandex, so they keep their shape with wear.